Honda Generator EG2800i is built with a 30A plug to easily connect to a transfer switch for home backup power. 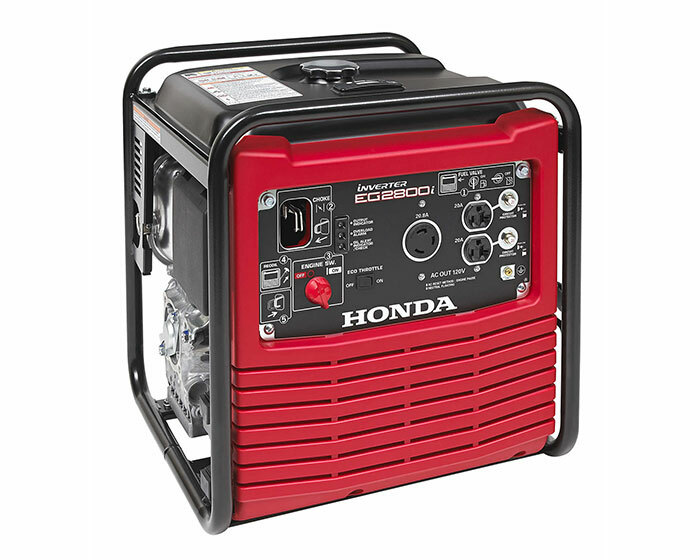 With 2,800 watts of quiet inverter power and an easy-to-start, fuel efficient Honda engine, the EG2800i is a reliable generator that operates up to 12 hours using only 2.1 gallons of fuel. This generator is lightweight, portable and designed with full frame protection and Oil Alert.